Ah… glam rock! As with many other musical styles, there’s your ‘good’ glam rock, and your ‘bloody awful’ glam rock! I’m relieved to see the tasteful omission of a certain ‘Gary Glitter’… who was perhaps the most exemplary specimen of the latter! She was a 50:50 call asty. It was the tight leather androgyny that suggested her inclusion. I agree that straight rock’n’roll might be closer to the mark. How the Suzi Quattro answer ended up here is beyond me. There was no chance that bubblegum glam was ending up here and I wouldn’t post a nonce like Glitter here either. Same goes for anything which has the intro with Jimmy Saville. I did like Andy Mackay’s jacket here. Brian Eno looks a little androgynous there too. Haven’t heard from you for a while, asty how are you. Algy, sometimes your playlists take us on amazing journeys. I started with Mott the Hoople. This led to Joe Walsh with an All Starr Band doing the most amazing wall of sound version of Rocky Mountain Way http://www.youtube.com/watch?v=e74Q5BLzzKQ and that led onto more All Starr Band – doing the Weight …… http://www.youtube.com/watch?v=bNpcms4UdMA etc. Many many thanks for firing the journey. Crank it up LOUD and play the above clip for sheer guitar delight ! I second that. Loved a lot of the glam. Especially Roxy Music. Prince, anyone. I liked the photo. 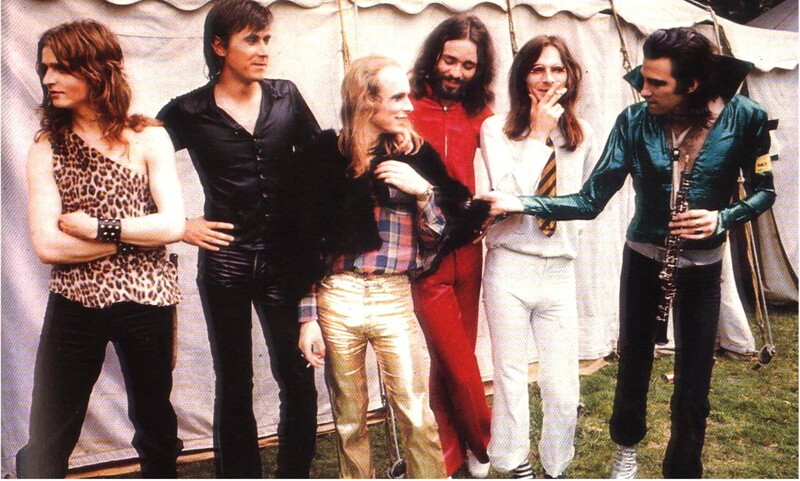 Roxy Music of course. I might try something there Therese.